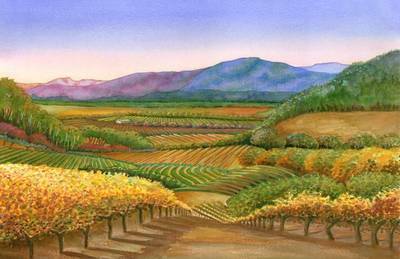 Visiting Napa Valley for a special event? 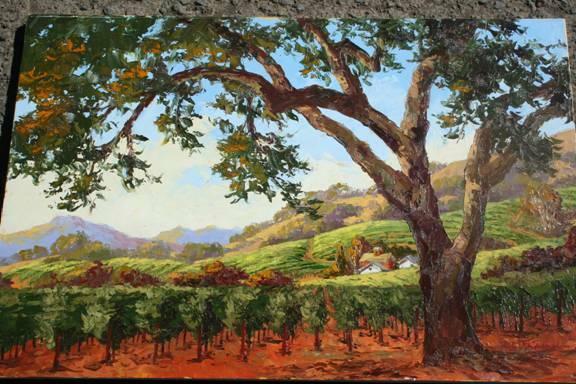 Invite Jessel Miller or one of her other Plein Air Artists to attend and paint the view. A truly unique experience and a keepsake to last a lifetime. Each package is customized just for you! ​Design your program to fit your group. Jessel Gallery artists have created Wow Moments for many different kinds of events. Each package is fully customized and the price is determined by the package you design. Contact us more more information. We'd love to help. Take a closer look at the paintings created during our most recent WOW Moments. Click to enlarge. Daniel Mundy and Jessel Miller were hired by Midwest Employers Casualty to paint the view from the Cliff Lede Vineyards. 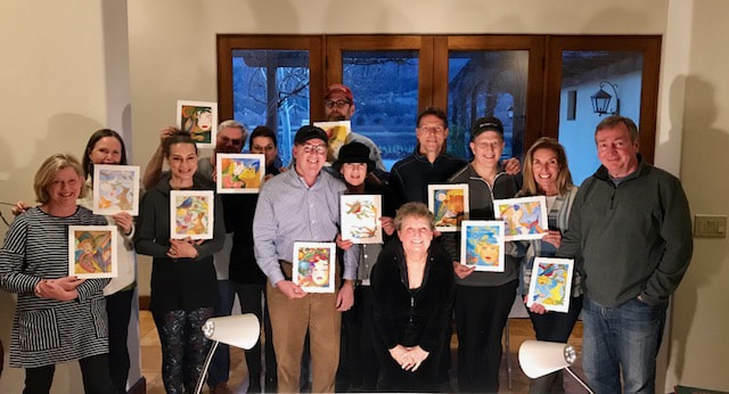 The group watched as both Jessel and Daniel completed their pieces at the Opening Reception for the Corporation’s retreat and each couple had their pick of either artist’s rendition in a 9x12 canvas print. It was an honor to be part of this lovely event. "Incorporating Jessel Miller and Daniel Mundy into our recent business gathering in Napa Valley was amazing! 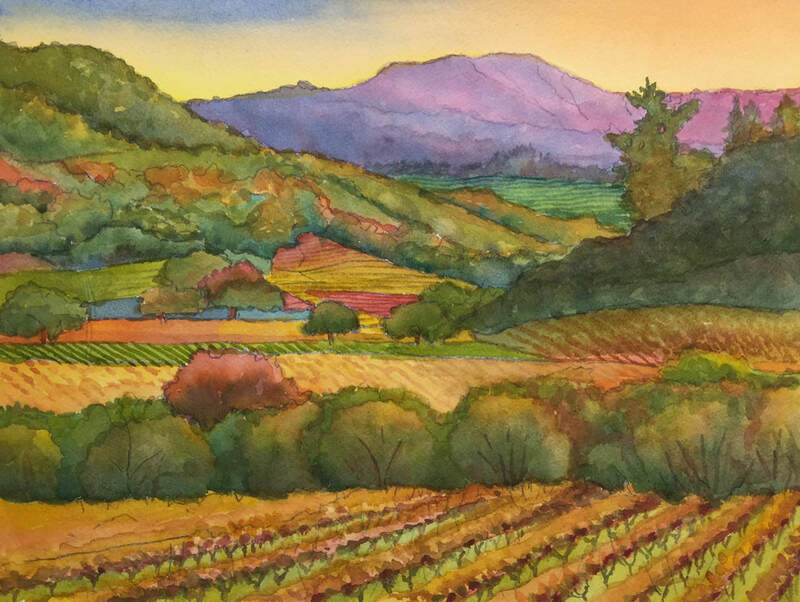 Through their scenic paintings and while our guests watched, both artists captured the exceptional beauty of the legendary Napa area and clearly demonstrated their expertise in both watercolor and oil. Then, from the original works of art, guests were allowed to select a print of their own. All were thrilled to receive such a unique gift and lasting remembrance of this experience. On behalf of our entire group, I want to express our sincere thanks and appreciation to Jessel and Daniel for sharing their passion and extraordinary talent with us!" ​Daniel M. Ha is the President and Founder of DMH Napa Valley. This destination management agency designs unique experiences for their clients. We were the ”Wow Moment Painting Class” experience. Daniel organized this wonderful group of CEOs and their spouses from Texas who vacation together as a group in new places each year. 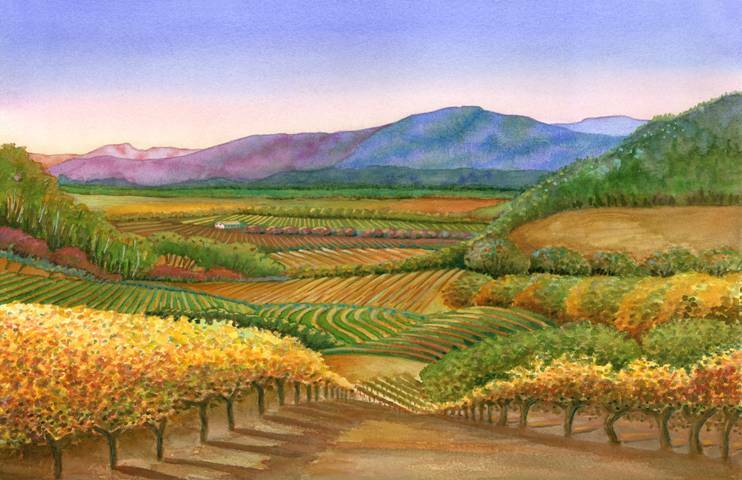 This year their final destination was the glorious Napa Valley. Jessel and her assistant Joy West spent two hours teaching this group how to work in watercolors and the results were splendid! Here is the class picture plus the images of the work they did on location at the event in a private estate they resided in Calistoga. 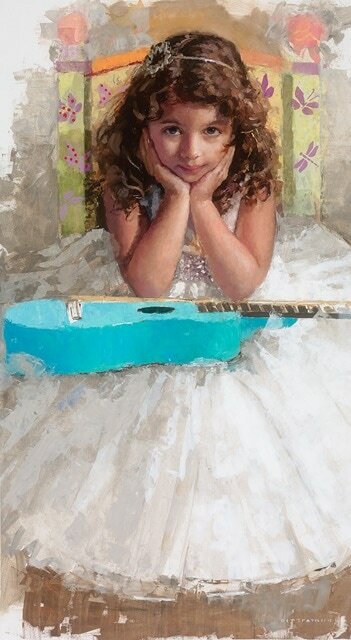 "Your paintings brought tears of joy to the new bride and her sweet husband. They couldn't believe their eyes! 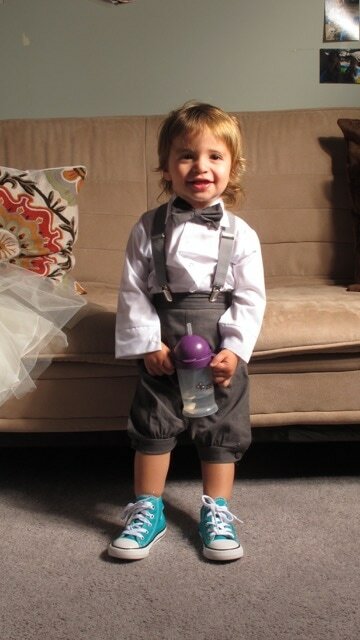 And the fact that you'd included both the rehearsal dinner site and the wedding site just blew them away. I'm attaching a picture, here, of the moment we gave the gift to them. What a great memory! Thanks again for all you did to make this special...The images you're able to create from that incredible Napa landscape is remarkable." ​The happy bride with Jessel Miller's original watercolors of both rehearsal and wedding venues. 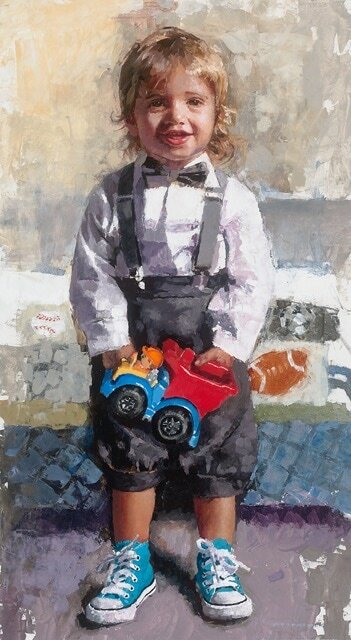 Recently Jessel Gallery arranged for Michael Fitzpatrick to fly to Los Angeles to photograph these wonderful children for portrait paintings. The client loved the work so much and had 3 pieces done. 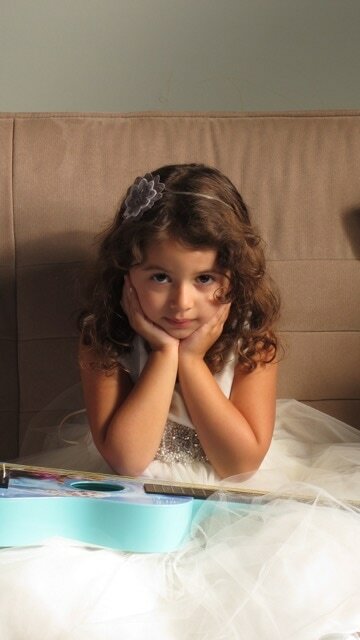 Michael has the most amazing ability to capture the essence of his subjects. 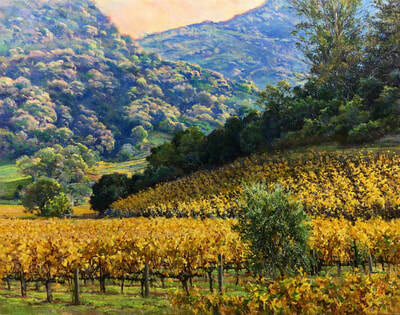 He is a brilliant technically skilled oil painter and is available for commissions. Contact the Jessel Gallery for more information. 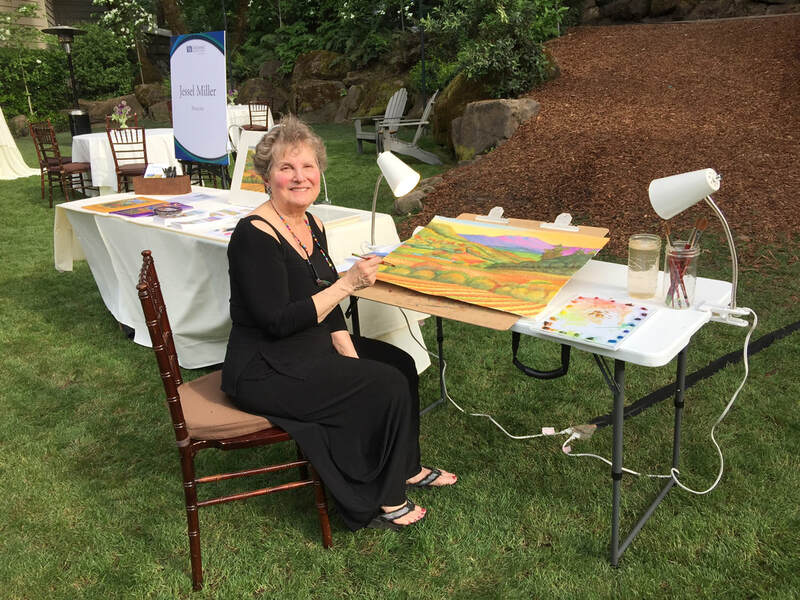 "Thank you so much for providing our guests with a once in a lifetime opportunity to paint with you in such a idyllic setting. 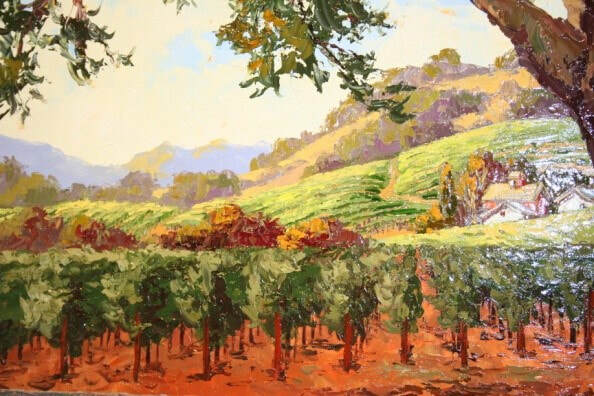 ​Our guests raved about their experience and were so excited to have their painting to take home to remember Napa forever." ​"Jessel brought a touch of class and artistry to a client event we held...at Hall Vineyards in Napa Valley. As cocktails and hors d'oeuvres were served, Jessel continued working on a partially finished vineyard vista watercolor painting of the Hall vineyards. ​The clients enjoyed seeing her skill and also Jessel's style of painting is a nice balance between realism and impressionism...it's intriguing to see her at work. We later made prints of the painting and gave them to our clients, which they really enjoyed."